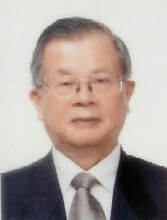 Dr. Chen's research interests are in the areas of medical legal disputes, medical ethics, hospice palliative medicine and clinical neurological science. Dr. Chen has initiated clinical studies on medical ultrasound and myasthenia gravis in Taiwan. He has participated in the initial stage of scientific studies on acupuncture in Taiwan. He has conducted the first epidemiological study of medical legal dispute and published the first comprehensive data about medical legal dispute in 2 books. He has participated in the promotion for the passing of the Hospice Palliative Care Act in 2000. He continued in the promotion of public interest in dementia and in promotion of the quality of medical care. 2. Chen RC. Physicians� social responsibity in promotion of national health insurance and health care quality. In Tai CT, Lee MB. Health Professionals and Social Responsibility. Taipei: Ministry of Education. 2007:11-22. 3. Chen RC. Medical law and malpractice. In Tai CT, Lee MB. Introduction to Medical Ethics. 2nd Ed, 2006:143-55. Taipei: Ministry of Education. 4. Chen RC, Chang YC, Chen THH, Wu HM, LIOU HH. Mortality in adult patients with epilepsy in Taiwan. Epileptic Disorder 7: 213-9, 2005. 5. Hung TP, Chen RC. Beginning of neurosonology in Taiwan. In Cheng JW (Ed). History of Medical Sonology in Taiwan. Taipei: Taiwan Med Sono Soc, 2005: 217-20. 6. Chen RC, Tang LY. Policy recommendations for the care of people with dementia: voice from Taiwan Alzheimer�s Disease Association. Taiwan J Geront Health Res 1: 1-7, 2005.